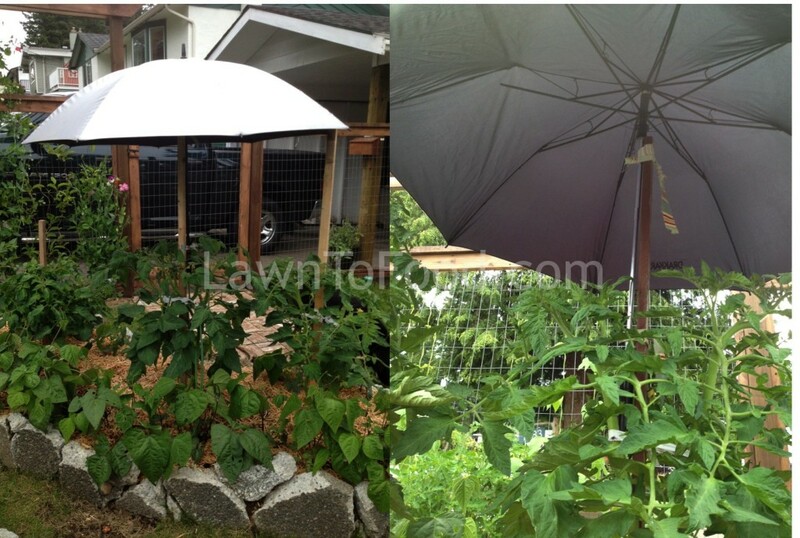 Just a fun way to keep our June rains off of my tomato plants 🙂 I attached the thrift shop umbrella finds to the tomato stakes with strips of cloth … I will let you know if the moisture barriers help fend off the dreaded Tomato Blight. 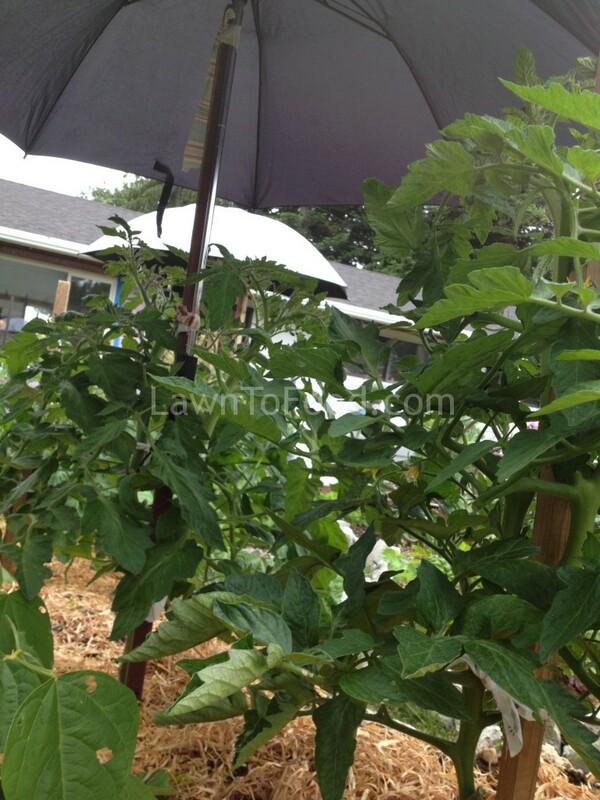 This entry was posted in Cool Carpentry Ideas, Crop Planning, Growing Food, Projects, Recycle Reuse Rebuild, Season Extenders and tagged blight, rain protection, tomato, umbrellas by Lynda. Bookmark the permalink.